Participatory Neuroscience: Something to Strive For? In the last few decades, there has been an increasing push towards making science more participatory by engaging those who are part of or invested in the community that will be impacted by the research in the actual research process, from determining the questions that are worth asking, to contributing to experimental design, to communicating findings to the public. Some of this push stems from the recognition that research is always value-laden and that the values guiding science have long been those of an elite and unrepresentative few (Longino, 1990). This push also has roots in feminist standpoint theory, which recognizes the way in which marginalized individuals may have an epistemic advantage when it comes to identifying problematic assumptions within a relevant knowledge project (Wylie, 2003). Additionally, many have noted how including the voices of those likely to be impacted by research can support the process itself (e.g. by identifying meaningful outcome measures) (Dickert & Sugarman, 2005). As a result, participatory research is becoming widely recognized as having both ethical and epistemic advantages. The field of neuroscience, however, which takes the brain as its primary target of investigation, has been slow to take up such insights. Here, I outline five stages of participatory research and the uptake of neuroscientific research in each, discuss the challenges and benefits of engaging in such research, and suggest that the field has an obligation, particularly in some cases, to shift towards more participatory research. The first and lowest stage of participatory research is represented by most scientific projects, in which all power and decision-making lies in the hands of the investigators. The vast majority of neuroscientific research takes place at this stage of participation (Robertson, Hiebert, Seergobin, Owen, & MacDonald, 2015). The second stage is best exemplified by citizen science projects, in which the parameters of a research project are established by investigators and then the content of the project is filled in by many non-scientists. In some cases, there are opportunities for participants to become more involved (and even to be given credit for discoveries and publications), but this does not always occur (Wicks, Vaughan, Massagli, & Heywood, 2011). There is a significant amount of neuroscientific research taking place at this stage, often in the form of games that allow investigators to crowdsource many hours of tasks related to identification that the human eye can perform better than algorithms (e.g. EyeWire, Mozak). Research at this stage can also be derived from social networks for patients that collect vast quantities of data recorded by preferences (e.g. PatientsLikeMe) (Suresh, 2016). The third stage gives some say to those who are impacted by the science, offering those impacted by the research an opportunity to shape the data set being collected, through their words or interpretations of their own experiences, or through commenting on the research design before it is implemented. Some neuroscientific research takes place at this stage, particularly that which involves qualitative data or community consultation (Klein et al., 2016; Stratford et al., 2016). 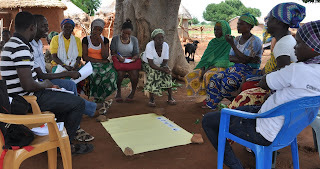 The fourth stage can be found in methodologies such as critical participatory action research and community-based participatory research, in which a community contributes to the research design from start to finish and is given ownership of data and authority over how that data is communicated to others. Central to this stage is the premise that power is shared between scientists and community members throughout the entire research process. This form of research appears to be very rare within neuroscience. One neuroscientific project which investigates the influence of colors on learning resembles these models in some ways and was inspired by and continues to involve high school students from Catalonia (Ruiz Mallen et al., 2016). The fifth and final stage of participatory research is exemplified by user-led research, in which a scientific project is entirely conducted by individuals outside of industry or the academy (e.g. survivor research in mental health) . I have found no examples of research within neuroscience that takes place at this stage. Taking this all into account, it looks like neuroscience is not very participatory, and when it is, the community members’ role is primarily as free laborers. Why might this be the case? Part of the answer is likely to be the many challenges that participatory research involves, some of which are unique to the field of neuroscience and some of which are seen across scientific endeavors. 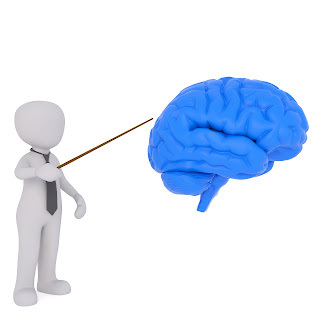 Those unique to neuroscience include the background and technical knowledge required, the expensive tools involved that are difficult to attain and operate, and the hype that frequently surrounds findings within the field (Stratford et al., 2016). Similarly, there is often a significant distance between neuroscientific research and the communities that might be impacted by that research, making applications or implications of the research less easy to foresee or understand. This distance might also mean that only a small subset of the population is interested in engaging in participatory neuroscientific research or that there is a greater risk of “wandering terminology,” which occurs when terms used in one epistemic realm are misapplied within another (e.g. see (Tekin, 2017)). There are also several structural challenges that prevent researchers, in any field, from engaging in participatory research. Funding structures may not support these forms of research, especially since building relationships with impacted communities and engaging in this form of research can take a significant amount of time (Price, Chatterjee, & Biswas, 2014). Relatedly, reward systems within institutions, including the pressure to publish and bring in funding, can deter investigators from engaging in participatory research and from sharing data, decision-making power, or publications with additional collaborators (Choudhury, Fishman, McGowan, & Juengst, 2014). Additionally, systems of research oversight (e.g. IRBs, RECs), which are not constructed on the basis of participatory research, are often unable or uninterested in accommodating research which frequently cannot be entirely specified in advance and includes individuals from outside of academia in data collection and analysis (Boser, 2007; Noorani, Charlesworth, Kite, & McDermont, 2017). Additional challenges to engaging in participatory research are epistemic, including the risks of self-selection bias and collecting variable data in citizen science projects (Kelling et al., 2015). It is also not unusual for investigators and those impacted by research to be interested in different kinds of research questions and to have different expectations related to what good research looks like (Ottinger, 2010). Ethical challenges arise as well, including the risk of engaging in tokenism, where participants are merely invited to participate in a symbolic sense (Stratford et al., 2016), or failing to fully inform the community regarding how their contributions are being used or sold (e.g. Lumosity – see (Purcell & Rommelfanger, 2015)), especially since “the allure of participation in a scientific study [can] be used as a Trojan horse to entice individuals to part with information they might not otherwise volunteer” (Janssens & Kraft, 2012, p. 1). Given these challenges, it is hard not to ask: why bother? Are there good reasons that neuroscience should strive to be more participatory, or should it simply continue as is, reaping the rewards of participation when humans can outperform algorithms, but otherwise remaining within the ivory tower? An answer to this question requires a look at the benefits that participatory research can produce, which are largely captured by three Rs: Rigor, Relevance, and Reach (Balazs & Morello-Frosch, 2013). 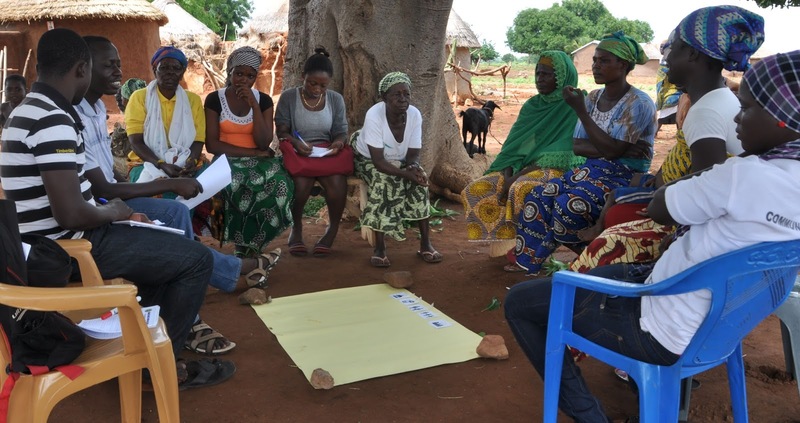 Participatory research enhances scientific rigor through encouraging both reflection and transparency during the process; community members may also contribute to the identification of assumptions and issues, including those stemming from various conflicts of interest. Participatory research can also increase the relevance of research, because topics neglected in mainstream research are more likely to be taken up and results that will directly benefit those impacted by the investigation are often pursued. Finally, the reach of the knowledge is expanded, in the community may have the ability to access people or places that scientists could not, both during recruitment and during the transmission of results, which can lead to both larger and more diverse data sets, which in turn, improves generalizability (Cooper, 2017). Taking these benefits into account, it appears that the field of neuroscience has a lot to gain from including more non-investigators in the research process, not just during data collection, but while asking larger questions regarding methodologies and goals. Keeping in mind the challenges discussed above, it is likely that some neuroscientific projects are better off remaining in the halls of the academy, but particularly in cases where neuroscientific research involves vulnerable communities or when a drug or device is being developed for clinical application, significant benefits may result from engaging in participatory research (e.g. through ensuring that an intervention meets the needs of its users). Within participatory research, misleading assumptions can be identified and excluded early on, applications of the science can be kept in mind throughout the process, and scientists can be given the opportunity to learn what matters most to the individuals impacted by their work. This shift will require buy-in not only from investigators, but also from institutions and regulators, who often restrict participatory research through reward systems and systems of oversight that are based on a narrow conception of what constitutes science. 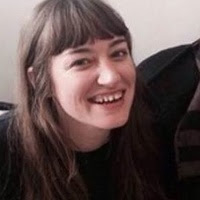 Phoebe Friesen is a post doctoral fellow at the Ethox Centre at the University of Oxford. She recently received a PhD in philosophy from the CUNY Graduate Center after completing her doctoral work, which focused on theoretical and ethical issues related to the placebo effect. She works primarily on questions within the realms of research ethics, bioethics, and psychiatry. Balazs, C. L., & Morello-Frosch, R. (2013). The three Rs: How community-based participatory research strengthens the rigor, relevance, and reach of science. Environmental Justice, 6(1), 9-16. Boser, S. (2007). Power, ethics, and the IRB: Dissonance over human participant review of participatory research. Qualitative Inquiry, 13(8), 1060-1074.
Cooper, R. (2017). 9 Classification, Rating Scales, and Promoting User-Led Research. Extraordinary Science and Psychiatry: Responses to the Crisis in Mental Health Research, 197. Dickert, N., & Sugarman, J. (2005). Ethical goals of community consultation in research. American Journal of Public Health, 95(7), 1123-1127. Janssens, A. C. J., & Kraft, P. (2012). Research conducted using data obtained through online communities: ethical implications of methodological limitations. PLoS Medicine, 9(10), e1001328. Kelling, S., Fink, D., La Sorte, F. A., Johnston, A., Bruns, N. E., & Hochachka, W. M. (2015). 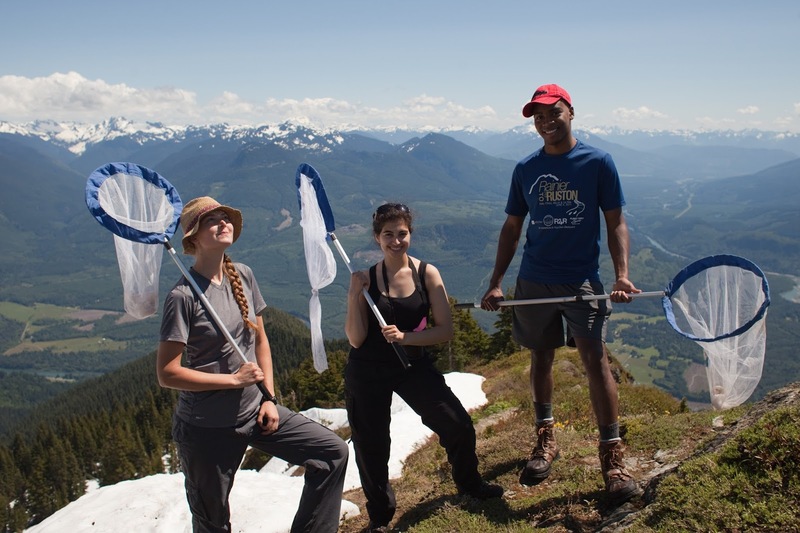 Taking a ‘Big Data’approach to data quality in a citizen science project. Ambio, 44(4), 601-611. Longino, H. E. (1990). Science as social knowledge: Values and objectivity in scientific inquiry: Princeton University Press. Noorani, T., Charlesworth, A., Kite, A., & McDermont, M. (2017). Participatory Research and the Medicalization of Research Ethics Processes. Social & Legal Studies, 26(3), 378-400. Ottinger, G. (2010). 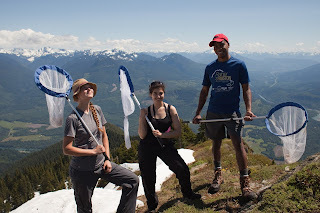 Buckets of resistance: Standards and the effectiveness of citizen science. Science, Technology, & Human Values, 35(2), 244-270. Purcell, R. H., & Rommelfanger, K. S. (2015). Internet-based brain training games, citizen scientists, and Big Data: ethical issues in unprecedented virtual territories. Neuron, 86(2), 356-359. Robertson, B. D., Hiebert, N. M., Seergobin, K. N., Owen, A. M., & MacDonald, P. A. (2015). Dorsal striatum mediates cognitive control, not cognitive effort per se, in decision-making: An event-related fMRI study. Neuroimage, 114, 170-184. Ruiz Mallen, I., Riboli-Sasco, L., Ribrault, C., Heras, M., Laguna, D., & Perié, L. (2016). Citizen science, engagement and transformative learning: a study of the co-construction of a neuroscience research project in Catalonia. Tekin, (2017). 11 Looking for the Self in Psychiatry: Perils and Promises of Phenomenology–Neuroscience Partnership in Schizophrenia Research. Extraordinary Science and Psychiatry: Responses to the Crisis in Mental Health Research, 249. Wicks, P., Vaughan, T. E., Massagli, M. P., & Heywood, J. (2011). Accelerated clinical discovery using self-reported patient data collected online and a patient-matching algorithm. Nature Biotechnology, 29(5), 411-414. Wylie, A. (2003). Why standpoint matters. Science and other cultures: Issues in philosophies of science and technology, 26-48.